I'm a self confessed nerd with a love of creative recycling. Check out my blog at www.trash2treasure.com/blog.html. You have not lived until you've tasted this banana bread. 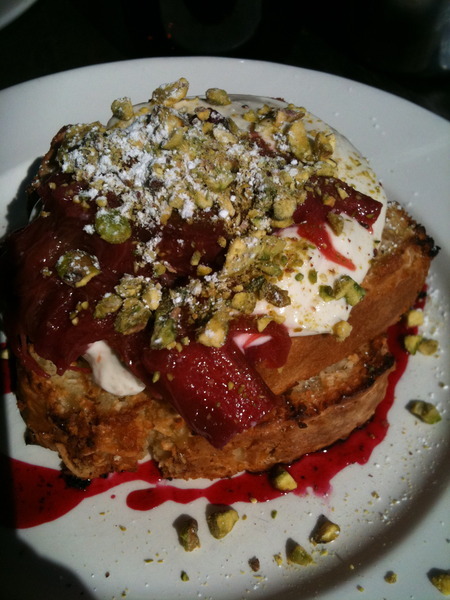 A gorgeous concoction of melt in your mouth banana and coconut, topped with delicate fresh yoghurt, slightly sweetened rhubarb and pistachios, sprinkled with icing sugar. The staff at Apte Cafe once tried to take this off the menu but were forced to return it after general community outrage. I am living and do live, yet I can see that consuming a peice of the above pictured banana bread, could on a cold Melbourne day, increase my happiness factor. :) Looks extremely edible.